When NRG Solar - National Renewable Group began, our initial mission was to provide expert solar maintenance and repairs for people who found it difficult to get qualified solar technicians to work on their systems or had purchased solar from companies that were no longer in business. In the process of fixing failed and underperforming systems, we saw firsthand the results of previous installers who had been poorly trained, unaware of safe work practices and, oftentimes, plain lazy. We also came across many, many failing inverters. As a consequence of doing hundreds of repair jobs every year, we quickly learned which products were the best performers and which installation techniques were safest and most reliable. We design, sell, install and maintain premium, affordable solar panel and energy storage systems for your home or business. 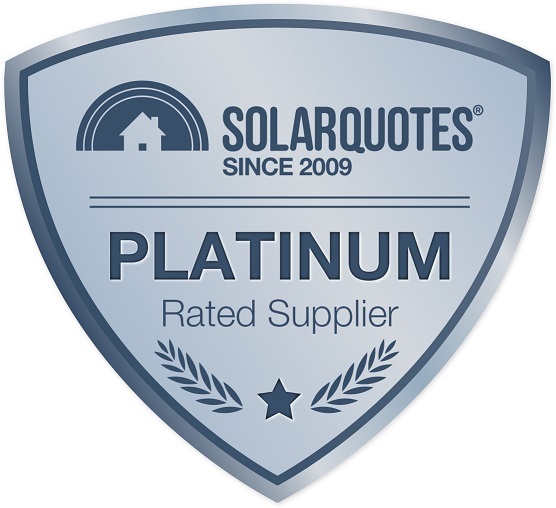 And our commitment to outstanding customer service, high quality products and unrivalled solar expertise is uncompromising. 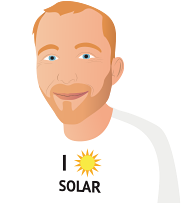 To ensure that every solar panel system in South Australia is safe, reliable and providing the best return-on-investment for its owner. Yes, my system was installed 20th March 2019 and we have been told the meter wont be changed for another 2 weeks or more. This is not the fault of the installer. The delay in getting my meter installed so I can actually use my solar is frustrating and obviously a rip off because someone is getting my power generated for free. There needs to be a better process to this or at least warn people of this as this is an unknown part of the process. After the initial choice of solar panels, NRG let me know they could not supply that particular model, but they substituted with another panel of the same brand, which is apparently superior - at no extra cost. When the installers came, they discovered that the layout of the panels on my roof would not fit as designed [because I have an unusual ridged configuration]. However, they worked around this and have installed 10 panels as agreed. I had a personal appt with one company the other two were over the phone. NRG were good in that I was able to ask questions , did some negotiating with them and in the end they agreed to what I wanted. The system is a 4.8 kW. AGL (my distributor) organizing getting my import/export meter installed totally crap. NRG are extremely professional with excellent sales, tradesmen, and customer service. We chose NRG mainly because they came to the house and talked about our requirements. Kym was really good and the installation was really quick. We are waiting on our electricity supplier to now install our smart meter. In a few years we may look at a battery also. The sales person won the contract for NRG. He was not an electrical expert, but he made sure I'll get all the specific electrical info I needed to know. He also help substantially to plan the correct system for us and prevented us from a snag around council regulations regarding solar panel installations. The original appointment was planned for one hour but he was two hours at our place to clear up the last question regarding the system and the organisation of the installation. Again we only can thank him very much for this initial visit and the follow up work he did for us. He is an asset to NRG. All installation, quality of the system and all organisation around the whole process from the office was well done and on time. The test run of the system was a success and it delivers the design values. We just need the new meter installed to get up to full speed. We can't speak highly enough of our experience with NRG. Michael took every care in designing, quoting and answering our many questions. He helped us make the right choice without any pressure and we were very comfortable signing up with NRG. The only uncertainty was the price of renewable certificates which are not determined until installation and while we understand the reason for this, competitors quoted a fixed price irrespective of market movements. Just a small point, but we were a little nervous about this uncertainty. The installers were on time, quick with the install, friendly and very helpful. Jarrad set up our wireless monitoring and explained the system thoroughly, going through an extensive checklist with us. The panel layout is neat and tidy (no broken tiles!) and install quality excellent. Our request for stainless fastenings due to our coastal location was not a problem for NRG. I reiterated the request to Jarrad on the day and he agreed that the Winaico panels are salt resistant, so in our environment stainless fastenings is a sensible choice. I was very impressed with the Clenergy panel mounting system. Jarrad assisted in choosing the appropriate Fronius inverter location allowing for the future installation of batteries. 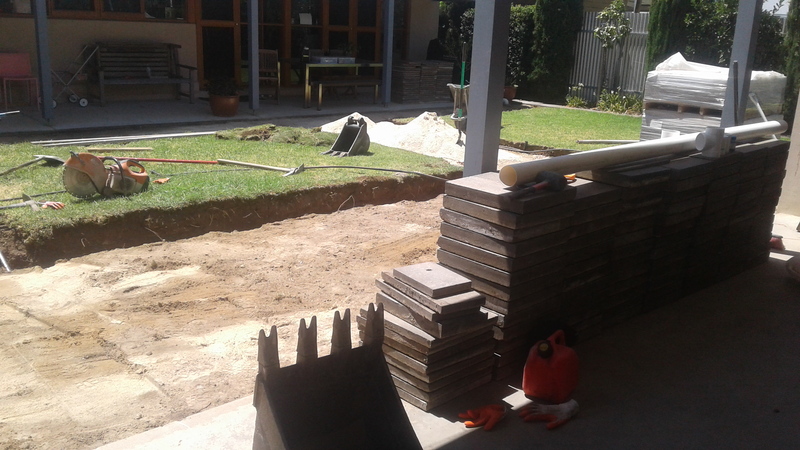 Great to talk with a tradie who can see it from the customer's viewpoint. They cleaned up the site, took away the rubbish and even helped me move some furniture back. Little things like shaking my hand on arrival and exit and thanking us for coffee and cake just made the experience very pleasant and stress free. Summer was our support person and managed the scheduling and arranging the I/E meter changeover with our retailer. She kept us informed from the time we signed up and called the day after install to check out our experience. She was delightful to deal with and very understanding with our worry wart questions. The retailer couldn't change the meter on the same day, so there wasn't room in the box for the Fronius smart meter when the system was installed. NRG anticipated this as Michael had inspected and photographed the meter box prior to quoting, so Summer is arranging for Jarrad to install the smart meter after the retailer fits the export meter. We opted for the Fronius smart meter as a means of future proofing the system as the Fronius inverter and smart meter offer options for specific monitoring and management. Thanks Michael! My apologies for not responding earlier but I was away for 8 weeks shortly after installation. 1 visited site and provided quote (NRG); 1 provided quote after phone interview, 1attempted phone contact but did not respond to return calll. NRG provided a standard offer pre-prepared before site visit. Standard build assumed, error in roof pitch (30 assumed 38 actual) leading to tight fit from computer placement for my initial request for split E & W installation. My requirements were for a new system to replace an existing system now shaded, but retain maximum approved capacity 2.8 kw. Alternatives of micro inverter and optimisers were discussed. What they did was explained but not how they could be used to advantage. I read your comparison summary and realiised that if micro inverters were used, I could maximise my installation by having a mixed array of E, N & W facing panels with no risk of shading in the future. It took a couple of alternative arrangements to arrive at a highest estimated annual generation design. In summary, I took charge in exploring a better alternative than the standard sales pitch could provide.